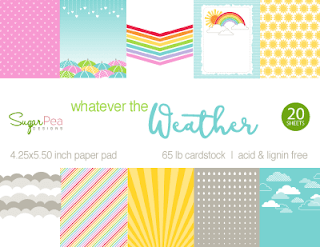 SugarPea Designs - What's Up? 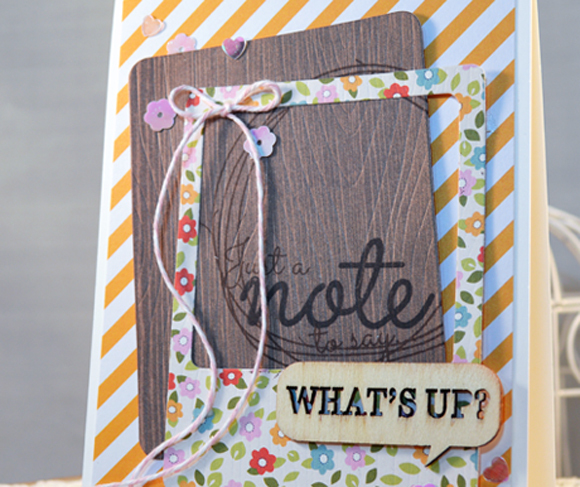 I whipped up a little "note" using some fun SPD goodies! After cutting the Woodgrain Journal Card, I stamped it with the rustic wreath from Funky Wreath - All Seasons, some word play sentiments from Noted, and layered it up with the Polaroid Journal Card over the top. A few of our new Lily White Sparkly Shaker Selection sequins were scattered about and then all was finished off with a sweet twine bow and a wooden speech bubble. Stop in over at the SugarPea Designs Blog! The SugarChics have more inspiration for you! 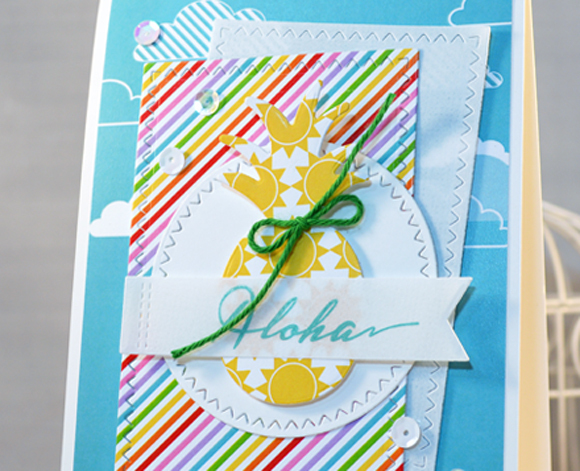 I whipped up a bright and cheerful birthday card using some yummy Verve goodness! 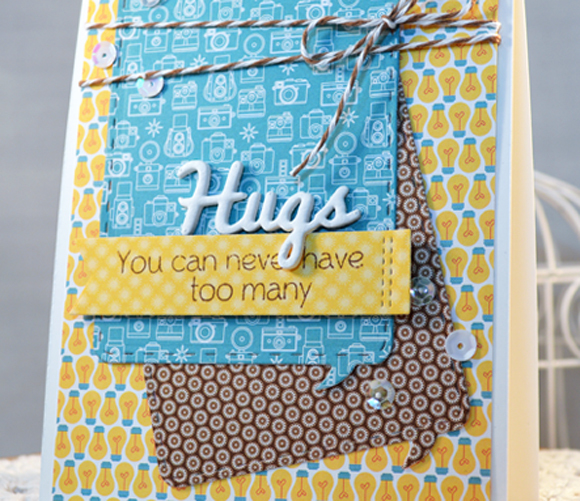 I used these newer stamps and dies from Verve! 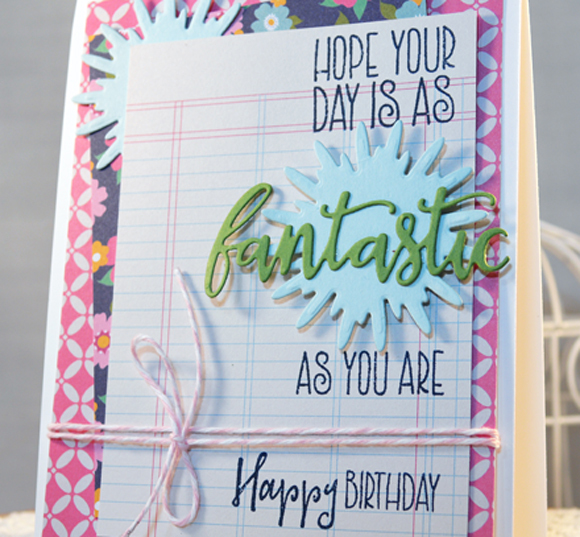 After stamping some sentiments from Simply Amazing, I added a couple of Simply Daisies die cuts and the "fantastic" from Amazing Adjectives die set! LOVE this group of goodies! To finish the card off, I wrapped some sweet twine around the main panel to create a separation between the sentiments. 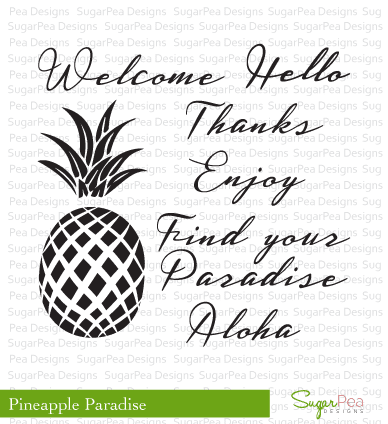 I'm totally smitten with this new stamp set, Pineapple Paradise...and all of the other new goodies that released last week! 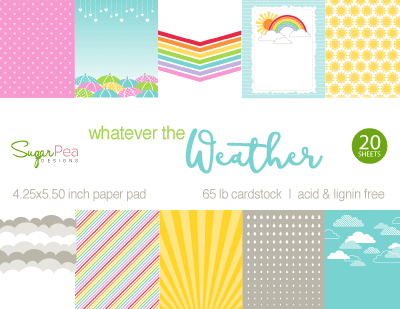 Check out all of the (NEW and Previously Released) SugarPea Designs goodness that I used on my card today! Now, THAT's a whole lot of SWEETNESS! I used three different patterns from our new paper collection to cut the background, the rectangle panel and the pineapple, then layered it all up finishing off with a stamped flag, some twine and sequins! Who's ready for summer break?! Me! Only 24 school days for this teacher! Woot! I'm up on the Viva la Verve blog with this week's sketch! I used two of Verve's newest goodies...Rise Above and Partly Cloudy Die Set! Keeping it simple, I just cut the background and panels from patterned paper, stamped a couple of sentiments over the light pink, then finished off with the SUN and clouds with some sprinkles of sequins. If you know me, you know I love some wonky panels and loads of layers! Hope you'll stop in and play along at the VLV Sketches Blog! This midwestern spring weather has been AMAZING...lots of warm sunshine the last couple of days! Definitely the most perfect inspiration to create! I can only imagine how long your shopping list is for today!!! What an awesome release it has been! The SugarChics have had a BLAST showing off the new SPD goodies this week and we can't wait to see what SWEET creations you all whip up with those goodies! Set you alarms for 6PM EST and SHOP TIL YOU DROP! 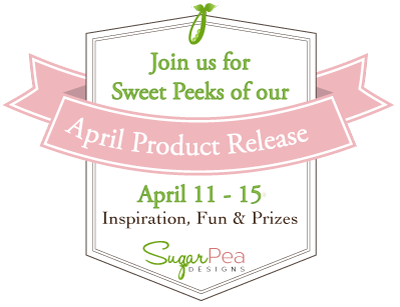 If you happened to have missed any of our Sweet Peek Week Introductions click here! Do you love chatting with your friends as much as we do? 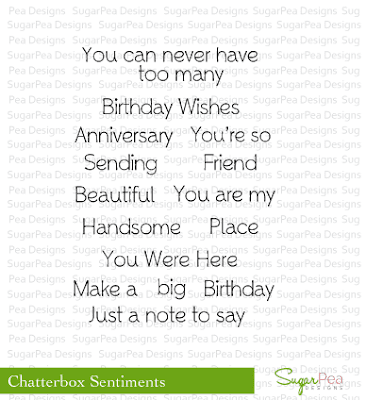 Well we are so excited to introduce Chatterbox Sentiments and SugarCut - Journal Card! 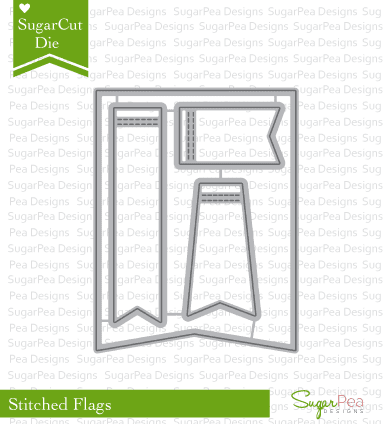 What a fun set of stamps and SugarCuts to play with! OH, and I used some of our SugarPuff for the Chatterbox word! LOVE that stuff! I stamped one of the sentiments and inked up one of the Stitched Flags, cut a couple more Chatterbox Journal Card - SugarCtus to finish it off. 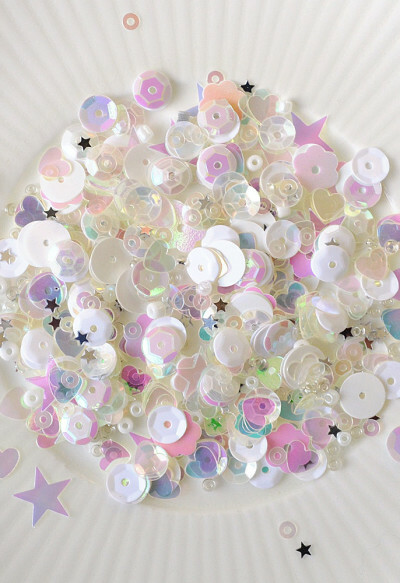 Those sweet new Little Things sequin mixes are a GO-TO embellishment to bring life and movement to your creations! Check this new Sweet Incentive stamp set! FREE with your $60 order! Place an order* of $60 or more (excluding discounts and shipping) and you will receive Talk Is Chic FREE! Please note that this stamp set will not be available for purchase in the store until our next bi-monthly release in June! That’s right! 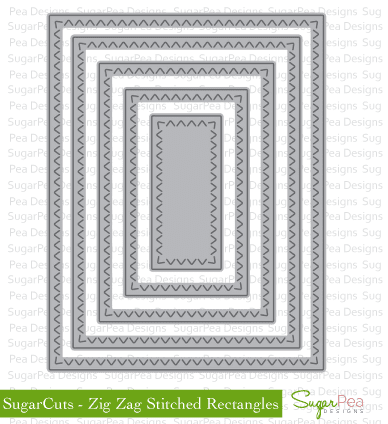 You will receive a this FREE stamp set a full 2 months in advance of its release in the SugarPea Designs Store! *This Sweet Incentive promotion begins tomorrow (11/15/16) at 6PM EST and will not be applied to any orders placed prior to this time. It is not necessary to add the Sweet Incentive promotional item to your cart or enter a coupon code, it will be automatically included on all qualifying orders! Click HERE for more details. Thank so much for stopping by the stage! Go check out what all the other SugarChics have whipped up for today! See you back here tomorrow for our final day of SweetPeeks! 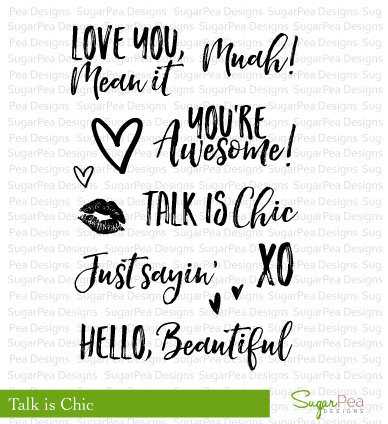 Hi there, SugarPea Designs fans! I'm quacking out for this ADORABLE stamp set and SugarCuts! Our entire April Product Release will be available for purchase starting this Friday, April 15th at 6PM EST. 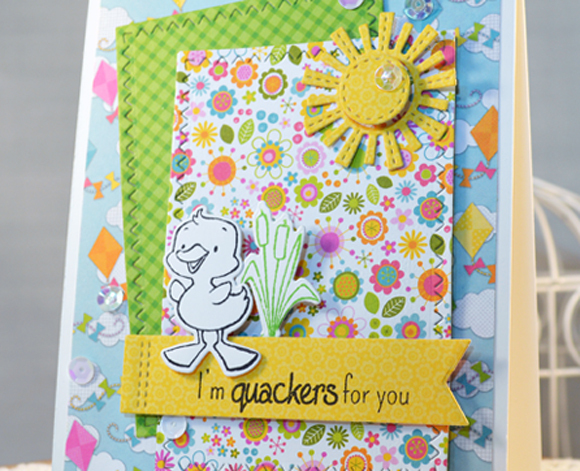 Today we are introducing Quackers & coordinating SugarCuts die. I stamped the sweet duck and cattails, die cut them, and placed them as a focal point over some layers of Zig Zag Stitched Rectangles and Stitched Flag sentiment. 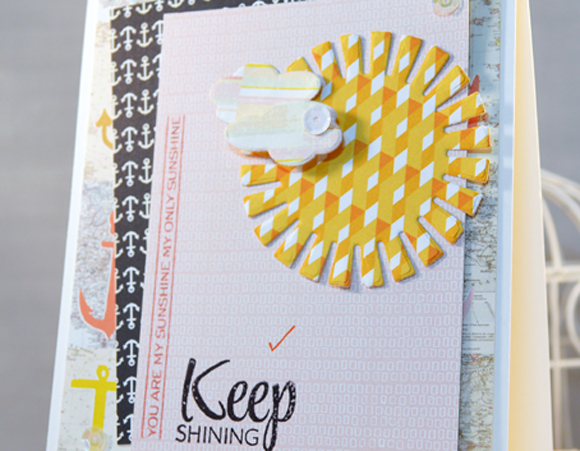 The sun from the new Weathered Together is a PERFECT embellishment for fun spring/summer card, too. 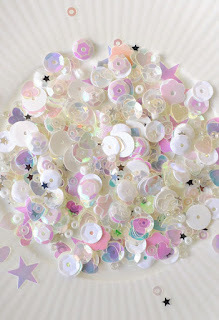 There are few sequins from our new line of Little Things mixes sprinkled about to finish it all off. 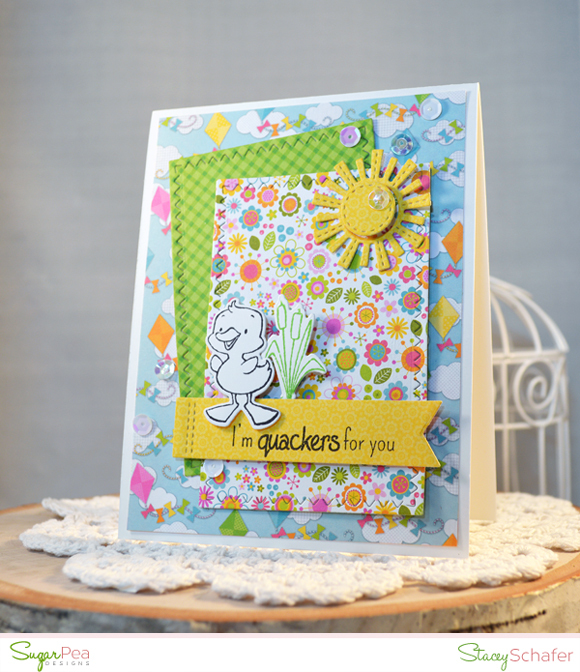 Would you like to win the Quackers stamp set? All you need to do is leave a comment on the SugarPea Designs blog telling us who or what QUACKS you up the most. It's that easy! You have all week to comment! Winners during our April Product Release will be announced on Sunday, April 24th. 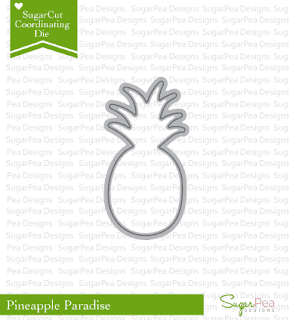 These pineapples we're showing off for today's SugarPea Designs SweetPeeks are the BOMB!!! 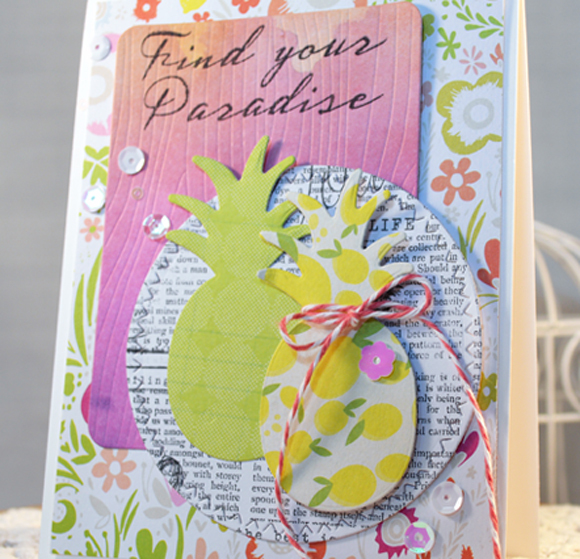 Today we are introducing Pineapple Paradise & coordinating SugarCuts die. 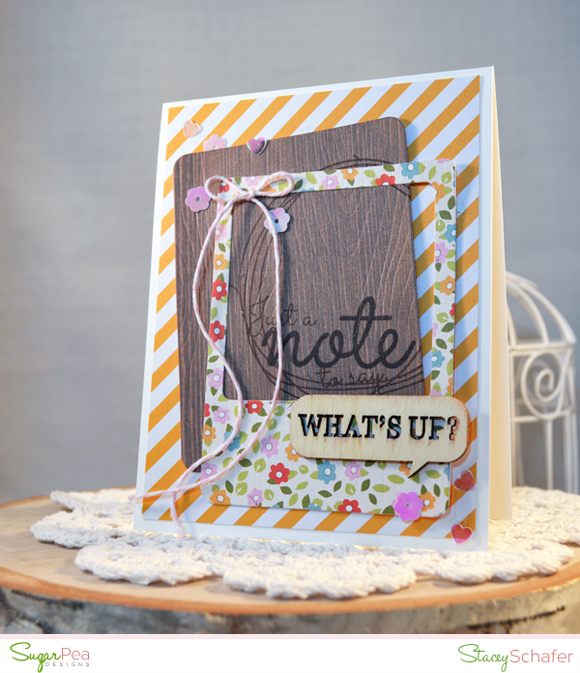 I absolutely LOVE the scripted font on the sentiments of this new set! 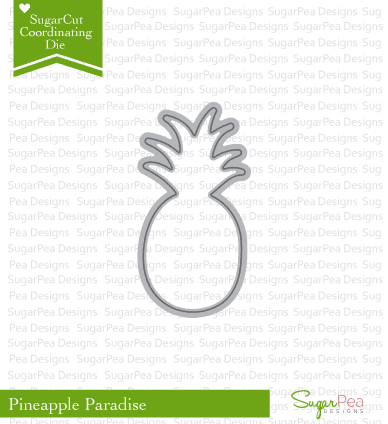 So beachy and relaxed...and those pineapples make me thirsty for a Pina Colada! I cut the pinapples from some fun summery papers and displayed them over a Zig Zag Stitched Circle and Woodgrain Journal Card...tied the juicy fruit with some twine and sprinkled on some of our new sequins! 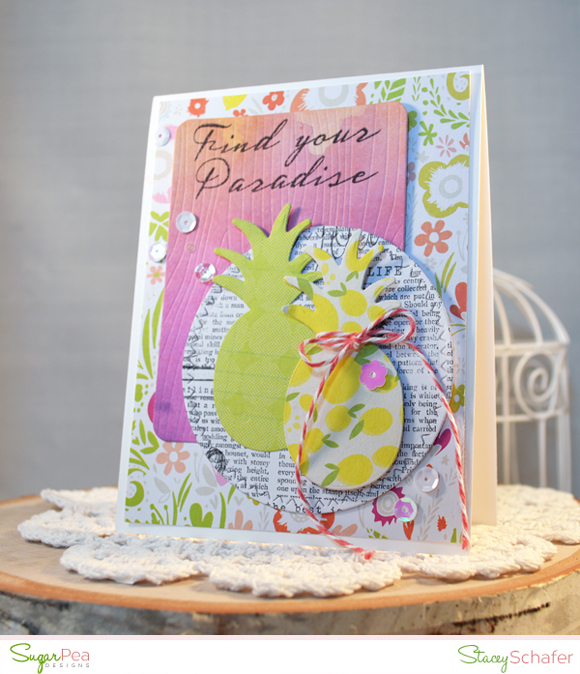 Would you like to win the Pineapple Paradise stamp set? All you need to do is leave a comment on the SugarPea Designs blog telling us where you find your paradise! It's that easy! You have all week to comment! Winners during our April Product Release will be announced on Sunday, April 24th. See you back here tomorrow for more SweetPeeks! We're back today with another peek at some new goodies from the April Release! April showers bring...MAY FLOWERS! Who doesn't love a fun floral set?! 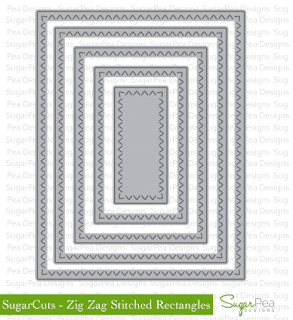 This new stamp set and coordinating SugarCuts is SO VERSATILE for your wreath building or floral clustering creations! Today, We're excited to be sharing two new products that are part of our SugarPlum Collection illustrated by Chaitali Narla. 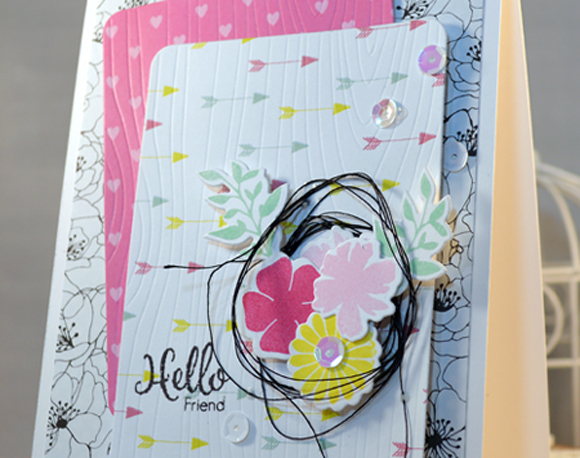 Introducing: Funky Wreath - Spring Addition stamp and SugarCut die set. I layered up some previously released Woodgrain Journal Card SugarCuts, the pink heart print from the NEW Weather Together Paper Pack....then, stamped and clustered some florals with some wrapped twine. 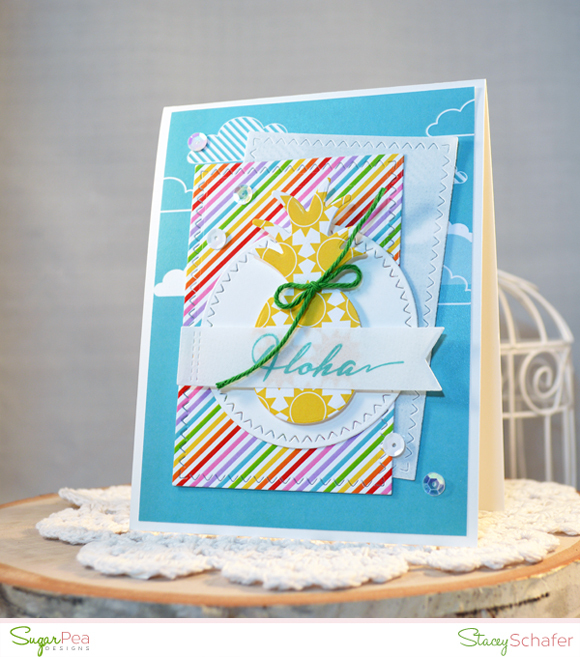 The sentiment from the Funky Wreath - Spring Additions is stamped sweetly in the corner and several sprinkles of our NEW sequin mix finish off the card! 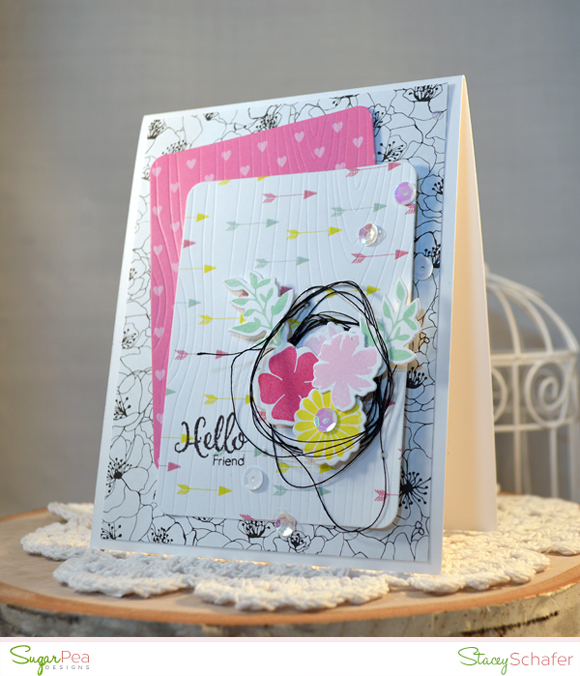 Would you like to win the Funky Wreath - Spring Addition stamp set? All you need to do is leave a comment on the SugarPea Designs blog telling us what your favorite flower is! It's that easy! You have all week to comment! Winners during our April Product Release will be announced on Sunday, April 24th. Don't forget...Our entire April Product Release will be available for purchase starting this Friday, April 15th at 6PM EST in the SPD Store. 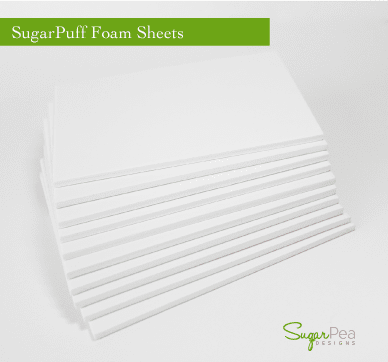 The SugarPea DT and I are busting at the seams to show off the new release! Hold on to your hat, it's AMAZING! Today, we'll focus on three new products that are part of our Sweet Chic Collection illustrated by Simonne Clay and a couple of new accessories! 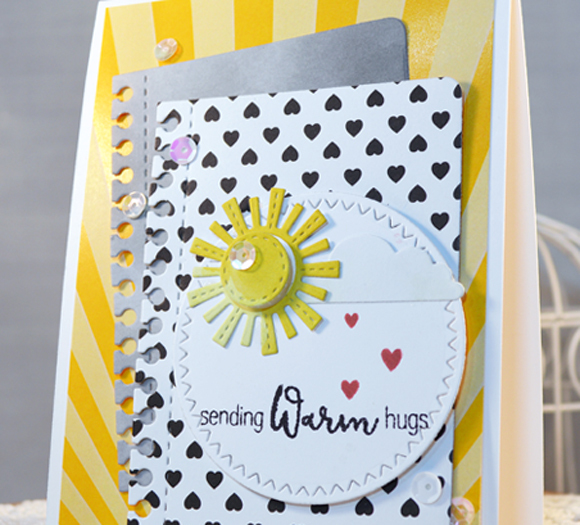 For my card, I used a fun yellow sun ray printed sheet from the Whatever the Weather Paper Pack... you know how I ADORE paper! 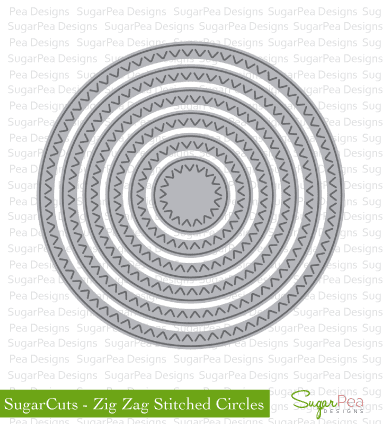 There are a couple of layers of previously released Notebook Journal Card SugarCuts, a Zig Zag Stitched Circle and our brand new Whatever the Weather stamps and SugarCuts! In LOVE!!! Would you like to win the Whatever The Weather stamp set? 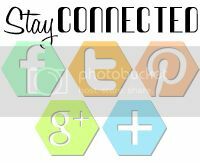 All you need to do is leave a comment the SugarPea Designs blog telling us how you like to spend a rainy afternoon! It's THAT easy! You have all week to comment! Winners during our April Product Release will be announced on Sunday, April 24th.